Eun-Ju (Moon Geun-Young), who lost her father many years ago, finally moves gets a new family home when her mother remarries. Although things seem to have turn the better for the cynical Eun-Ju, she immediately faces problems when she meets her new step-sister Hyo-Seon (Seo Woo). Hyo-Seon with her bright character is the apple in her father's eyes and the clear favorite in the house. Furthermore, Eun-Ju's mother also seems to have fallen for the charismatic personality of Hyo-Seon. "Cinderella Sister" will take over the Wed. & Thurs. time slot previously occupied by "The Slave Hunters" (Chuno) and followed by "Bread, Love and Dreams" on June 9, 2010. 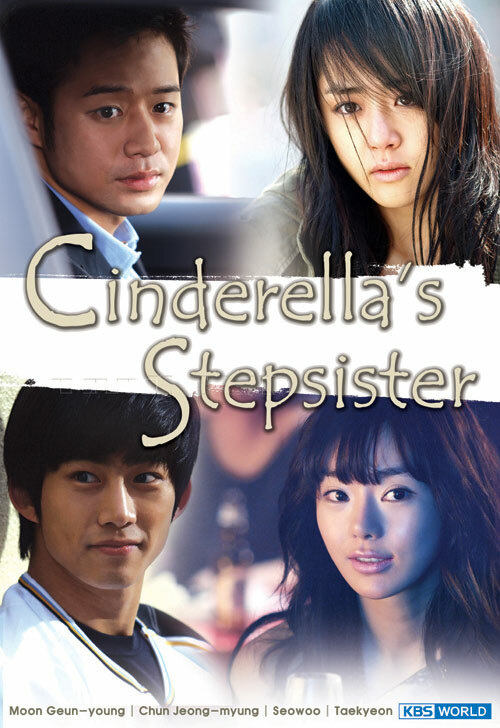 Cheon Jeong-Myeong] & Ok Taek-Yeon (member of K-pop group 2PM) have been casted for "Cinderella Sister". Cheon Jeong-Myeong plays a character like a prince but with a scar and has a love triangle with the stepsisters Hyo-seon & Eun-ju. Ok Taek-Yeon plays Jeong-woo a character that is honest & funny and also in love with Eun-ju. coffee Feb 01 2019 4:17 am Lol, everyone who hate this drama probably thinks life is as beautiful as rainbow, and kdrama main character has to be "kind poor girl who married arrogant rich prince charming"
Agudo Nov 22 2018 2:12 am Watched the show because of Yesung who sang the ost. Everytime it plays i get so emotional and excited which makes me continue to watch the drama even though i am not a fan of any of the lead actors and actresses. amara Dec 06 2017 7:29 am This drama is awesome. Not a fan of this type of genre, but this drama is something else. I freaking love and could totally relate to the character Eunju. She's seems cold and distance, therefore easily misunderstood. Moon Geunyoung acting is amazing btw. Love her! achu Nov 16 2017 6:30 am The girl is too annoying... i love song eun ju..she is rude but very loyal girl...the other one is too childish and annoying. Arihant Nov 07 2017 5:52 am Watched this with a lot of hesitation-ratings were superb but the reviews were polarizing (praise vs derision).Started this only because Chun Jung Myung (CJM)was fantastic in What's up fox as the man-child in love with his older sisters classmate ( a noona romance-best i have seen)and didn't see many dramas featuring him recently. I felt the show created a superb Prince charming character in CJM but didn't give him enough time to shine between the titular Cinderella and her stepsister.The romance was dealt in small bits which was quite unfortunate since it it was the love story which was the most important arc.This is proven in the final epsiodes when the leads finally resolve thier issues and their camraderie is so good. I feel this show is quite good and definitely worth a watch but could have been far better with some better writing decisions.For any CJM fans out here who.may have hesitated like I did ,this is a must watch. haha Sep 26 2017 1:17 am people....... the step sister deserve some happines too... if your live like her(the step sister)... don't you want some little happines too the cinderella already have all... but the step sister don't have anything at all including her mother lave... don't you pity her??? LSP May 03 2017 3:17 am How the heck did this gets such good rating. So boring. It's about cinderella's step sister, which MGY plays. I didn't like her character at. Basically, the drama's message seems to be, you will go places if you're cold hearted, bitter and rude. Even though MGY's character was mean, she was loved, got everything and the man. It was very frustrating to watch. danily Jan 06 2017 1:46 am I finally got around to finish watching this. Acting was blahhh. TaecYeon was way over acting which became annoying. Moon Geun-Young was alright. Chun Jung-Myung was boring. Seo Woo seems to over shined everyone. This drama just drags. I don't understand all the hype. What disappointed me the most is the ending was not complete. Seem like they got lazy towards the end. Some character got a complete ending, while some were left hanging. This drama had some great part and a lot of boring parts. not the type of drama i would re-watch or recommend. lrt Jan 05 2017 3:59 am Total buzz kill for me. If you want to watch a lot of staring and unsmiling faces this is for you. The only thing that redeemed this drama was the father daughter relationship that often made me cry. Lorie Oct 10 2015 8:57 pm It's 2015 and I'm watching it again. Seo woo is really good here. In every episode that she will do something against or related to MGY I really get irritated, annoyed and pissed. I mean it's supposed to be her role right? She really made me mad and frustrated meaning she is really good at portraying her role. Ohmygee. And her age. The fudge. Thumbs up! Laya Aug 31 2015 12:30 am I'll never forget Song Eun-Ju character. Eun Joo~yah, you're in my heart... enjoying watching this great drama over and over again. shreena shrestha Aug 26 2015 4:40 am I watched the drama because I liked its OST video featured in a Nepali song.I was really excited to watch this drama but to my disappointment the video was a betrayal for me.none of the contents of the video were in drama when I watched its full drama.though I loved the way the leads loved each other n wished that character ki hoon to be real n wanted to meet him n love him(LOL). Olivia Dec 02 2014 10:05 pm this drama is very good, I'm obsessed with the main OTP. However, I would never watch it again. I empathized with each heartbreak, mourning, romance, and conciliation, but it's a very frustrating drama. Moon Geun Young portrays her cynical and cold character excellently, but there are times you want to rip your eyeballs out. Beware to be impatient with Eun Ju's personality barrier, but in the end, I still love her. Forever ship Ki Hoon & Eun Ju. Shoutout to Ki Hoon's patient personality!! anon Jun 18 2014 8:29 am I watch this drama because of TaecYeon and Yesung (who sing the ost) but I didn't regret it. This drama is amazing! Cubano Feb 15 2014 3:23 am Hated Seo Woo's acting in this, she acts like a 7 year old the whole series. This show was okay, honestly really slow and the sets don't change enough. I also did not like Moon Guen-Young as much as in Cheobang Alice; still her acting was crazy good and scary at times. If your a fan of really dramatic melodramas then this is a show for you, however if your going into this with the expectations of Cheobang Alice, or even Dream High then you will be seriously disappointed. By the 10th episode I was wishing it was over. Eun Jung Sep 26 2013 12:14 pm Moon Geun-young did a wonderful job in her role as Song Eun-ju. I liked her character. Song Eun-ju faced all her trials courageously. I thought the way she behaved throughout the drama was completely understandable and acceptable and I admired her character. 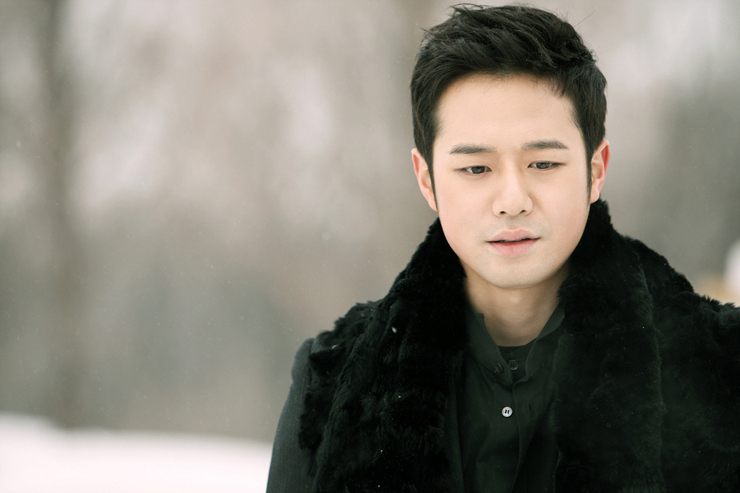 I really liked Chun Jung-Myung’s character, Hong Ki-hoon a lot. I admired him a great deal, also. TaecYeon was great as the grown up Han Jeong-woo. I saw him act in Dream High and really liked him in that drama as well. I did not like seeing Seo Woo in her role as Ku Hyo-seon. It seemed to me that she was over-acting to appear young and her character did not come across as believable to me. I could appreciate her beauty. However, when she became emotional, her facial expressions were not pleasant to look at. Her immature behavior became irritating. Her loving nature was admirable, though. I thought the story was interesting. After about 15 episodes or so, though, I started to get tired of how long and constant the difficulties for the characters were. I think it would have been nicer to have occasional breaks from the sadness with a few happy scenes. There was only one scene with Eun-ju and Jeong-woo that was significantly lighter to me. That was when Jeong-woo did some kind of silly dance in front of Eun-ju by the side of the road and she smiled quite a bit. The other “light” scene I remember had a few moments with Eun-ju trying to learn a pop dance. But it was too brief to lift the heaviness of the drama. I also wish more positive progress could have occurred throughout the drama towards building Eun-ju and Ki-hoon’s relationship. Ki-hoon was EXTREMELY patient waiting for Eun-ju to become receptive, warm, and loving towards him. The complexity and evolving changes to Eun-ju and Hyo-seon’s relationship are very interesting to think about. I think the drama brought out realistic facets of a step-sister relationship very well. I liked it that Eun-ju and Hyo-seon had a younger brother that they shared a connection with. I was glad at the end of the drama that Eun-ju and Ki-hoon were finally able to be together. John Jun 18 2013 7:10 am Every time I watch what I think is the best Korean Drama ever made I end up seeing another one that is even better. This one is just so wonderful. It has elements of fantasy, wonder, charm, music that just fit perfectly, beautify scenery, and of course drama. The acting was superb as would be expected with a cast like this. I'm a guy and hate to admit it, but I couldn't hold back my tears at times. Watch it !!! You won't be disappointed. Well it's one of my top 10 and doubt it will ever come off that list, but you never know. Korean dramas are absolutely the best made in the world today. ruksart Dec 27 2012 9:17 pm Fantastic series currently playing on Channel 29 (CCTV) here in NZ, could not wait to see the end 5 episodes, so watched via youtube with english subtitles in HD. To be honest, this series like, The laughing Wanderer are awesome, although I am a Maori, i am enchanted with such beautiful Asian dramas, both action and love stories. MORE!!! Sarah Dec 01 2012 9:40 am The acting in this drama really irritates me. I can't understand why Moon guen young was always being pissed off. Seo woo doesn't really fit in her role either. The drama itself might have been interesting but the actors totally spoiled the fun. Not worth it. little_vip Sep 08 2012 7:21 am it really touch me! i really like Moon chaewon in this drama! i really recommend it! Nuhammad Qasim Jul 25 2012 3:25 am The story of the DRMA & acting of the Moon Geun-young is so nice & excellent. This drama impressed me so much. Slam to Moon Geun-young from Pakistan. Eunice Keah May 25 2012 4:09 am This story is exactly like my life.except the fact that they're from different parents. Me and my sister is 11months apart. This makes up look like twins with different appearance. Im the elder one and im going thru stuff just like the ost. LET ME TELL U SOMETHING. IT HURTS ALOT! AND SOMETIMES I JUST WISH I WASN'T BORN IN MY FAMILY..
loveit Apr 30 2012 12:14 am I loooveee MGYs long black hair in this drama.... She's so beautiful!!!!! Roleajf Dec 04 2011 12:12 am Omg, this is the best drama I've ever watched. I was hooked ever since I watched the first episode. MGY is a very talented actress. I'm glad that they picked her. lady Nov 06 2011 7:39 am Good acting 4 actor and actress..Nice story...The best lovely soundtrack 4 Yesung, Joo, Luna & Crystal..
dcy Oct 16 2011 7:50 am Unforgetable Drama..I Like iT..and LUV U CJM..
alice galua Apr 17 2011 3:04 am i had just finish watching this movie and i am grateful writing a comment here..
Bali Apr 07 2011 8:12 am I LOVE CJM!!! I want to see him together with MGY!! part 2?! Cinderella Mar 26 2011 4:16 am I love cindrella sister a lot. I wasn't that satisfied enough with its ending. I hope that there will be Cinderella Sister 2 even though I know that most if korea dramas doesn't have part 2 but I will wait for it. I hope It'll be soon then. LOVE THE DRAMA SO MUCH! PART 2 PLEASE!!! KRHYSS ANN Mar 12 2011 8:42 am the episode is very nice.. i hope cinderella sister rating become higher.. MOON GEUN YOUNG is very good actress.. i im the one who idol her..
julieth yapayap Mar 05 2011 8:42 am i realy like you moon guen young your realy the best for go.go.go. jeaniza Feb 18 2011 3:55 am i reali love cinderellas sister..ol of those characters are ol pretty and handsome..mwaaaaaaahhhhh! more power guyz we are 1 of ur biggest fan ever(^ ^,) ilOveU..
grayzelle Feb 08 2011 9:29 pm i ike the cinderella's sister . .i watch 8 every day. .
lynNux Feb 06 2011 11:36 pm @MsHaineux: hi dear! you can watch the full episode of Cinderella's Sister in MySoju.com there you can also watched for the previous Korean drama! have Fun! PLEASE PUT SHECENE IN THE TRAILER THE STORY THEY DO PLEAZZZZZ!! jessan Feb 02 2011 10:02 am im filipina, and u know what.. i love korean drama very match.. salang haeyo eun ju and ki-hoo.. godbless..
MsHaineux Jan 30 2011 9:15 pm i cant wait to see the full episodes...where can i find it...? thine Jan 29 2011 6:32 am ....i love cinderrella sister so much...i love zarren...i love timothy perfect match!!!! wilanie mae Jan 28 2011 9:33 am Im a Filipna. And absolutely Love Korean Drama Series. Pls. dont compare this CS from PH & BFF. Those Korean darmas flew high ratings during there times also. Each drama has portayed well by different Actors/ Actresses form Korean. What I like most in Korean Dramas, tha acting is so vivid, the lines are so simplified yet very touching. Koreans has lots of fresh, good looking & great actors/ actresses. That is why majority of Filipino audiences hooked up & captures their hearts. Cinderalla Sisters is one of the best story drama Ive ever watched. The characters portrayed by Eun Jo – a cold hearted person, very fierce, strong and very independent. While Hyo Seon – is a bubbly, loving & very has a very submissive personality. The drama shows how two different people learned how to love & defend each other for their father and the whole family. Congrats KBS! wilanie mae Jan 28 2011 9:25 am OMG!!! i love it!!! i love Cinderella Sisters!!! i love u zarren!!!! april Jan 27 2011 11:05 pm im...crazy over it..om..omg..
kc Jan 27 2011 4:54 am i love the story of cinderella sister , where i can watch the whole episode ? violet Jan 20 2011 8:39 am I loved this drama. I like moon guen but i felt she was too mean in this drama. throughout the drama i kept feeling bad for hyo sun. in the beginning she was trying so hard to be nice to eun ju. but eun ju was mean to everyone she met!!! toh quan ming Oct 30 2010 8:36 am I am very excited because i like to rent the korean drama calls " cinderella sister " and see how they act. I will be renting some other time at any of the video renting shop. arumlovekorea Oct 29 2010 12:18 am 난 그 영화의 신데렐라 자매를 좋아했습니다. 플레이어는 또한 냉각 멋진 있습니다. 나는 이야기를 좋아했습니다. den Oct 25 2010 7:08 pm i'm filipina.. but i really like korean drama.. it's beautiful.. i just want to know if GRAZILDA's story came here..
mykamicks Oct 18 2010 2:27 am Im a Filipna. And absolutely Love Korean Drama Series. Pls. dont compare this CS from PH & BFF. Those Korean darmas flew high ratings during there times also. Each drama has portayed well by different Actors/ Actresses form Korean. Cinderalla Sisters is one of the best story drama Ive ever watched. The characters portrayed by Eun Jo - a cold hearted person, very fierce, strong and very independent. While Hyo Seon - is a bubbly, loving & very has a very submissive personality. The drama shows how two different people learned how to love & defend each other for their father and the whole family. Congrats KBS! alice Oct 02 2010 8:50 pm really wanna to know the theme song & who is the singer ? oghiesuperego Sep 28 2010 11:02 pm the drama is number one rating for me. halfbloodnessie Sep 24 2010 6:38 am The trailer was awesome !!! But why they put some scenes from the mv for OST ?? The teaser trailer scene wasn't shown in the movie.. It's just for the Music Video !!! Why ??? I like the story from the trailer and music video. It's more awesome... But why it wasn't shown in the movie ??? Can somebody please tell me WHY ???? WHY ??? WHY ???? put gayatri Sep 24 2010 4:10 am i like they're acting,...very good and wonderful. Woww,...big applause for all,.. I luv u all,..and i very like. via Sep 22 2010 10:05 pm wwow,, big applause.. this is good drama..
mira Sep 17 2010 5:43 am Love this drama very much. Taecyeon keren bgt..
amels Sep 17 2010 12:48 am GOOD !! flipped Sep 16 2010 1:39 am now, in indonesia this drama air everyday. still in episode 6. someone tell me how the end of this drama??? Arina Sep 16 2010 12:10 am This drama is awsome, eun jo has strong character.. It seems like it really happens in this real world. dina Sep 14 2010 10:42 pm I like this drama..
Саундтреки Aug 17 2010 4:32 am Does anyone knows who is composer? Kathy Jul 04 2010 4:52 am Why is some of the scenes from the trailer not in the drama at all? nm Jul 01 2010 10:28 pm oh I love this drama so much.I waching this drama of KBS WORLD. pandacandi Jun 24 2010 5:11 pm moon geun-young is a good actress :) she very suited for the role. Jinn Jun 23 2010 10:39 am i would like to ask whether does this drama cinderella's sister has two version of it?because the one tht i watched doesn't seems to match with the poster i saw and 2nd and the 3rd video above! taylor Jun 08 2010 10:29 am I love it but I didn't like how the drama didn't have alot of scenes like in Yesung video. nero Jun 07 2010 8:01 am This drama hooked me from the day 1, and I am glad for it. This drama has strong theme, beautiful scenes, stellar acting, beautiful kisses, deep and yet satire story, what I like even more is the casts, Moon Geun Young and Chun Jung Myung are epic! They got that guys! They got strong and passion chemistry that make them soo beautiful and dark. I love this drama.It's a must-watch drama. If you're looking for something different,then this is it. It is not soo stressful like other korean drama, no body died because of cancer or going blind. Soo have fun. lindseynmy loves oktaecyeon Jun 06 2010 10:44 am @*tiky*:eunjo was 18 years old at the beginning . are there only 20 episodes in cinderella's stepsister ? shana Jun 06 2010 7:36 am i was wondering if anyone could tell who sang the song near da ending - when Ki-Hoon says he loves her?? ct Jun 06 2010 2:11 am now,in Malaysia this drama only air 2 episodes a week.until now there 6 episodes left.it took times to me watch it. so i hope,anybody here tell me the ending. tq. shana May 27 2010 8:16 am it is a well written.. the entire cast did extremlly well.. but there is just too much emotion during the mid of the show, especially episode 10.. but definatly a show that deserves around of a pplause..
*tiky* May 20 2010 6:02 pm i wanna now how old is eunjo in the first episodes!! can somebody tell me???? Cammucha May 17 2010 8:47 pm He sido fanátaica del mundo de los doramas desde hace 2 años y he estado al tanto de los diferentes y actuales doramas, unos muy lindos, otros muy romanticos y otros de mucho suspenso, pero en verdad les digo que este me ha sacado de mis casillas en todos los aspectos, ver el dolor de no ser querida por una madre, ver que por primera vez que alguién se interesa verdaderamante en ti, sentir la decepción de que seas abandonada por el único hombre que has querido, no poder decir papá al señor que cuido de ti como si fueras su hija, descubrir que aquel que pensastes que te bandono no lo hizo, sentir que no puedes luchar con una hermana que ama al hombre que quieres solo por no hacerle daño, sentir la responsabilidad de levantar una empresa casi arruinada, hacen que todos tus sentimientos salgan a flote en cada capítulo, de la alegría a la tristeza e incluso hasta tus lágrimas. Muy bueno este dorama, al que lo vea se va a quedar totalmente prendado, agradesco desde aqui a la información que nos brindan y a las personas que pueden subtitular los videos y asi poder verlos. Muchas gracias. Cinderella May 16 2010 3:16 am I'm not korean, but i am really impressed with moon geun-young acting. Flawless... feels like she is the real Eun jo. Bravo! james May 13 2010 8:28 am One thing that really impressed me about this drama is moon geun-young acting. It seems like yesterday i watched her in the 'My Little Bride' as a young, naive actress. Her transition to a much older role really leaves a deep impression in me. yaşasın Türkiye! May 04 2010 10:04 am I waching it now! :D İt is very very very very wonder. chen May 02 2010 1:39 am taecyeon and moon are together!! christina andriani Apr 30 2010 8:14 am Although the story is not particularly original, but the actresses are A-class. The dialogues were strong too. It has been captivating since day one. and it deserves all the attention. Another Daesang award for MGY? Courtney Apr 29 2010 6:36 pm i will so going to not like when Song Eun-ju mom starts being mean to hyo-sun now. since her father passed away in the 9th episode. Song Eun-ju mom will be much mean and obviously shes been using the family for money and ripping off or whatever. Tibi Apr 25 2010 11:46 pm I believe the trailers were all shot before the drama shooting began. So what you see in the trailers may or may not actually happen. mzmaria Apr 13 2010 8:53 pm well, eun jo ends up getting her hair shorter..is that through out the movie? she really looked good in her long hair and the trailers had her with long hair..so..does she keep it long after getting her hair short? Maria Catherine Apr 13 2010 3:14 am Taecyeon..love him so much...i hope he have happy ending with moon in this drama...i don't like to see his sad face..
KiMmY Apr 12 2010 6:31 pm OoooOOOOoooOOOOOoooh my god I love this drama so much. Is like my first Korean Drama that grabs my attention. I love Moon guen young. Beautiful girl. I still don't get it though, did she have long hair because in the drama last episode she had short hair and then when I watched the trailer she had long hair. And like some parts I didn't even see and they all grew up. Can't wait till the next episode. Haruka Apr 12 2010 3:45 pm Im luvvin this drama alot! even if its only at ep 4... cant wait for next ep!!! Now im confused, i am not sure bout the male lead in this one, normally male leads are the first guy they put on... but in this drama... Jeong-woo (Teac) name is first and den appearing Ki-Hoon (Jeong)... who do u guys think is the male lead? stephyy Apr 10 2010 1:50 am man this drama is good, bt i hate her mom at this point. bt oh well i guess mgy will get better soon. <3 all the actors and actresses in here. mommam Apr 08 2010 1:39 am I like Moon Geun Yong. I look like with her, I want watch it. Moon, My Sister Korean! yeah ya ya. lily Apr 07 2010 2:52 am Hu do u think moon is gna end up with? hdosj Apr 03 2010 5:18 pm just finished watching first two eps. OMG didnt know tacyeon was in it!!!!!! so excited!!!! moon geun young is so pretty!! dosnt she look a lot like go hyun jeong?? faa_teuki_hottestelf Mar 31 2010 8:19 am taechyon so hot there!!!!!!! Aurora E. Mar 03 2010 12:32 pm Seo Woo and Moon Guen Young together??? ^^ Oh my DJ! I can't wait! It must be SO ENCHANTED!!!! Moon since she was in "Endless Love" until "The Painter of The Wind" !!!!! She's awesome!!!! and Seo Woo!!! My first movie is "Tamra, The Island." and.... I WISH HER NEXT TV SERIES!!!!! Han JiYoung :) Feb 22 2010 5:09 pm Moon Guen Young and TeacYeon are in it! DAEBAK! I'm going to watch it from the 1st episode to the last. NAdia Feb 07 2010 3:08 pm OMG,am watching it too Cuz of Teac N____N..
evilive Jan 30 2010 3:37 pm omg teac is in it. i'm going to watch how he acts.